If a player would gain life, that player gains no life instead. At the beginning of each player's upkeep, that player loses 1 life. 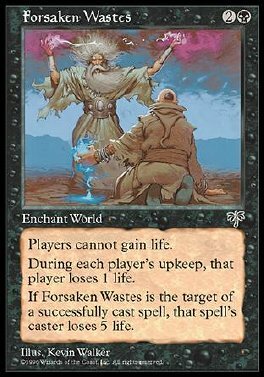 When Forsaken Wastes becomes the target of a spell, that spell's controller loses 5 life.